On Sunday, January 21, 2007 Jonatha Ceely read from and discussed BREAD AND DREAMS at The Brookline Pubic Library. Organized by the hard-working trustees of the Library, this two day invitational program featured an exciting range of authors who are Brookline residents.It was a pleasure to participate in the inauguration of what we hope will be a new tradition. ON OCTOBER 6 AND 7, 2006 I participated in the Sixth Annual AMELIA BOOK ISLAND FESTIVAL, giving a workshop on "Making Time to Write" on Friday and presenting MINA and BREAD AND DREAMS at a reading on Saturday. I enjoyedthe opportunity to meet fellow writers as well as enthusiastic readers.This is a wonderful annual event event that I would recommend to readers, aspiring writers, and potential presenting writers. The place is beautiful, the people are welcoming, and the Festival is efficiently and graciously run. It was a very positive experience. ON MAY 24, 2006 I met with the women's book club at MIT to discuss MINA. The group commented (perceptively, I thought) on themes in the novel and asked ecellent questions about the background of the story and the writing process. I found the atmosphere congenial and the diverse members of the group interesting. On Wedneday, February 1, 2006, I discussed the writing of Bread and Dreams, read,and signed books at PEN New England's monthly reading at the Hotel Marlowe in Cambridge MA. The varied group included PEN members,hotel guests,friends, and classmates from Vassar with whom it was fun to renew acquaintances.The wine receeption provided by the hotel prior to the reading was nice too. Porter Square Books in Cambridge, Massachusetts. It was a pleasure to see friends and ex-colleagues from my teaching days and to meet new readers. The bookstore is a welcoming place. On Saturday, November 5, 2005, I signed books at A Novel Idea in Bristol, Rhode Island. On a lovely fall day, in a pretty town it was interesting to watch street life and meet some people. I am very grateful to J. and C. who made the trip to Bristol just to meet me. Every writer should be lucky enough have such dedicated readers. On Saturday, October 22, 2005, I signed books at Borders in Syracuse, New York. The rush and bustle of a huge mall was not conducive to conversation, but, nevertheless, I met a few people and learned a little about another side of book-selling. On Saturday, October 22. 2005. I read and signed books at Creekside Books and Coffee in Skaneateles, New York. Although it was a day of pouring rain and the attendance at the reading was small, I enjoyed the experience very much. It was a pleasure to discover that the proprietor, Ms. Davis, had read my novels and wished to support them. Skaneateles is an attractive place, the bookstore is inviting, and the audience, although small, asked stimulating questions. On Wednesday,October 19,2005, I read and signed books at Novel Idea in Kingston, Ontario--my hometown. It was fun to greet old friends and new acquaintances. It seemed as if almost all the decades of my life were represented. The proprietors of Novel Idea, the Milans, were welcoming, the refreshments were delicious, and the weather cooperated too. Thanks to all who turned out for their enthusiastic support. On Saturday, October 15, 2005, Jonatha Ceely read and signed books at The Toadstool Bookstore in Peterborough, New Hampshire. Despite rain, the threat of floods, and actual river flooding in the area, some loyal readers appeared. I enjoyed their questions and the opportunity to discuss the challenges and pleasures of historical reasearch. On Thursday, September 29,2005, Jonatha Ceely read and signed books at the Brookline Booksmith at Coolidge Corner in Brookline, followed by a wine and cheese reception. An enjoyable evening brought together a range of new readers, friends, Brookline neighbors, family, and ex-students,one of whom made a two-hour drive to be present.It was fun to present Bread and Dreams to such a warm and enthusiastic group. I am grateful for the support of the Brookline Booksmith. On Wednesday, September 21, 2005, Jonatha Ceely visited the Winsor School in Boston and met with ninth graders who had read MINA for assigned summer reading. The students asked perceptive questions about the writing process. I enjoyed meeting them. From May to September 2005 the poem "View from the Schoolroom Window Looking South to the Beth Israel Hospital" was on display next to the fifth floor elevator in Boston City Hall as part of the exhibit "375 Views of Boston." If you would like to read this poem, send an email to me with "Poem" in the subject line. 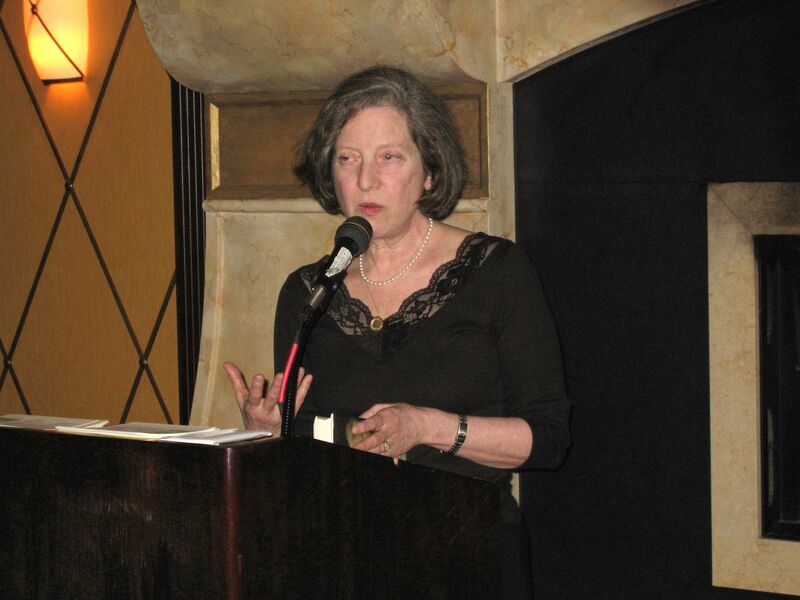 On Thursday, September 1, 2005, Jonatha Ceely was guest speaker at the Brookline Rotary Club weekly meeting. Her topic was "So You Want to Write a Book?" Note: Attending the meeting and learning more about the community outreach of the Rotary Club was a wonderful experience.I also appreciated the warm reception I received. 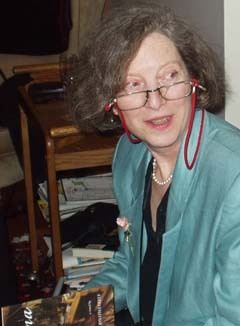 On September 27, 2004, Jonatha Ceely was the guest of a Jewish Women's Book Group in Kingston, Ontario, for discussion of the themes and the writing of MINA. On July 20, 2004, Jonatha Ceely spoke on the historical background of MINA in the Goerge Stevens Academy Summer Speaker Series in Blue Hill, Maine. On June 7, 2004, at the Brookline Senior Center in Brookline, Massachusetts, Jonatha Ceely spoke on the historical background of MINA and read from the novel. 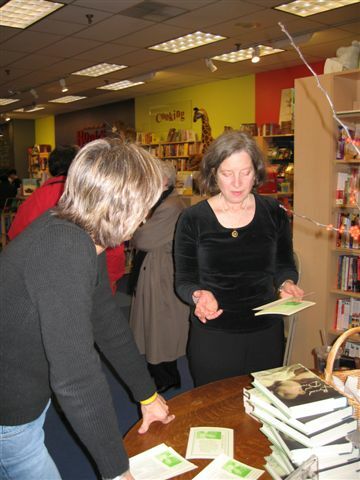 On April 4, 2004, the publication of MINA was celebrated with a reading and book launch party.